Sometimes the dogs we rescue get sick. 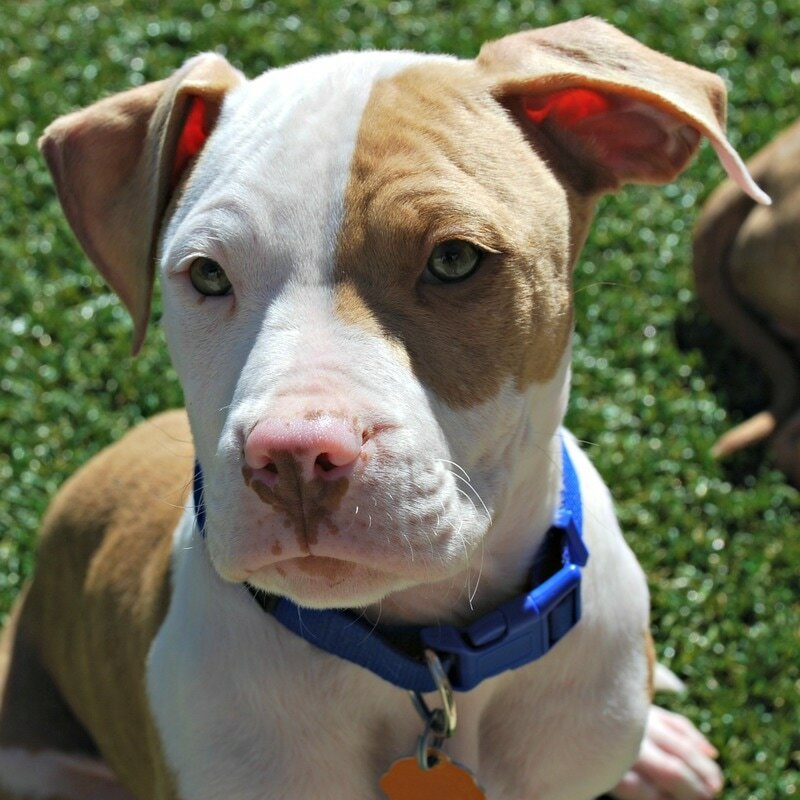 From minor injuries to hospitalization, every dog deserves the medical care they need. While we work with partner veterinarians for reduced fees, medical care is still incredibly expensive. The dogs appreciate your support! 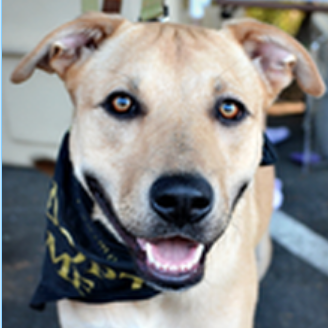 Donating for a specific dog and want your name listed as a supporter? Please make a note when you donate. 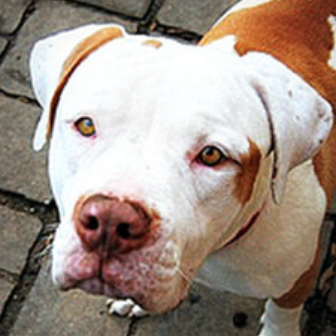 Beloved Buster Brown lost one of his back legs when he was around 1 year old. Before coming to us he landed in the shelter three separate times and lost his tail in a freak accident. 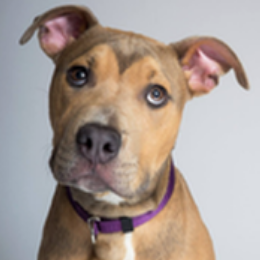 With us we noticed his remaining back leg was struggling, and he recently had TPLO surgery. 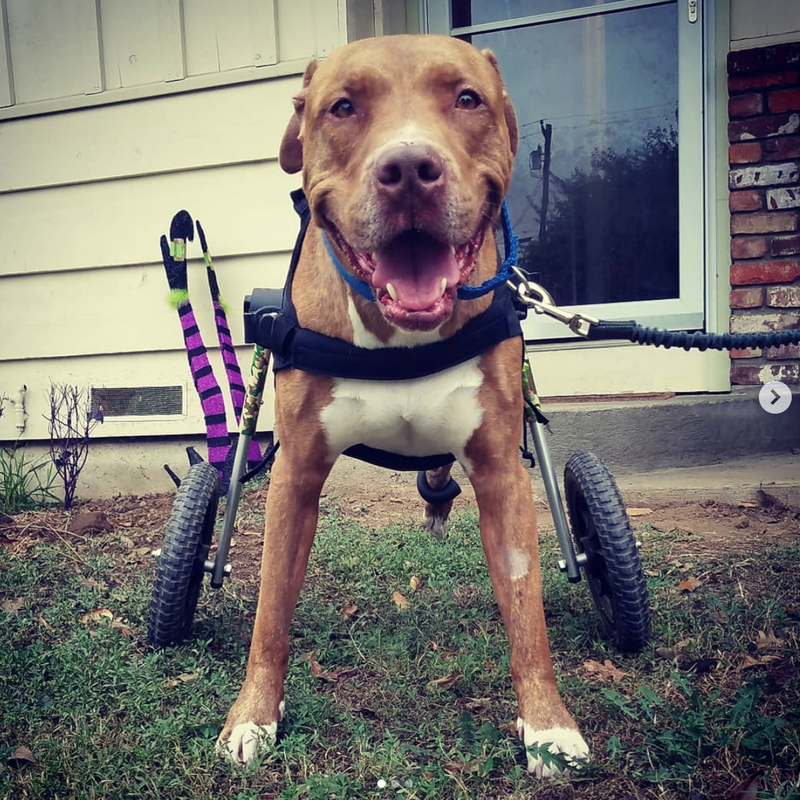 This wheelchair gives him mobility while he heals and was orchestrated by his amazing foster mom who is taking tremendous care of him. 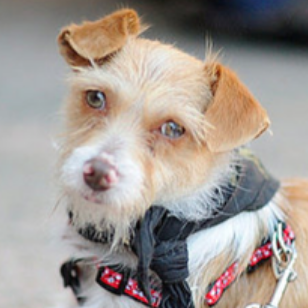 Dazzle was found as a stray in Oakland with a front elbow break and back leg break. Surgery was done to re-set bones and insert plate for proper healing. Plate removal and follow up visits required. 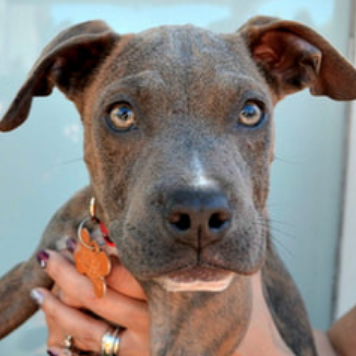 Travolta was found as a stray with his two siblings (Odessa and Tonka) in rural San Bernadino county. He has required FHO sugery on both hips. 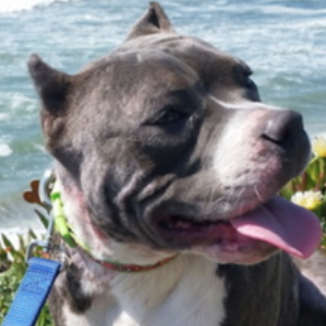 Claudine was rescued around 6 months old from SF ACC. On top of being mostly deaf she was recently diagnosed with a genetic heart defect, pulmonic stenosis - narrowing of her pulmonary value. Possible surgery and numerous specialist visits are in her future. 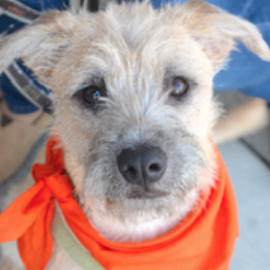 Skipper is a one year old terrier mix rescued from Lake County. After arrival it was discovered she had severe chemical burns to a large portion of her back, picture too graphic to show. Multiple visits for wound care and bandage changes and possible skin graft is needed. Parvo treatment and care for 8 week old Tula and her brother Ozzie. 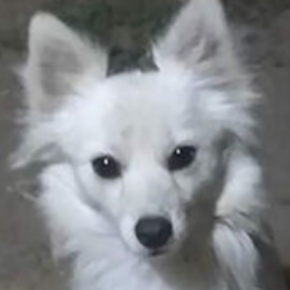 Phoenix was found sick, starving and pregnant in a homeless encampment in Madera. The people caring for her there didn't have the means to have her treated by a vet. 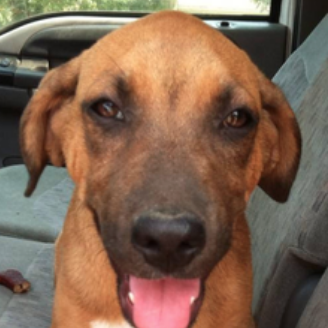 We were contacted and agreed to provide vet care for her as well as take her into rescue. Unfortunately for Phoenix, her pups did not make it and she needed an emergency c-section and antibiotics to save her life. 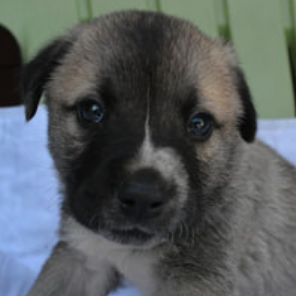 Parvo treatment and care for Charleston, Bordeaux, Bear Paw and Snickers. Pups came down with Parvo shortly before they were to be transported to Copper's Dream. Initial care was given at a Vets office and now pups are being nursed by a dedicated volunteer in her home in Fresno. 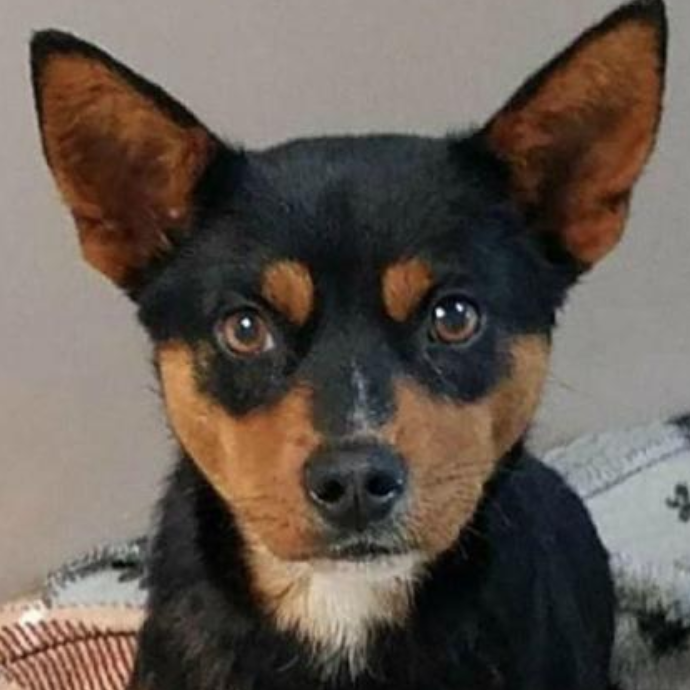 Baxter was offered for rescue through SF ACC because he had a rough start in life, and he had broken leg which would healed better in the home environment. However the femoral head deteriorated due to the injury, and he needed hip surgery in order to have it function properly and without pain. On behalf of our former knot-hole friend; We miss you! Parvo treatment and care for Phil and Chuckie, 10-12 week old pit mix pups we rescued from Kerman. 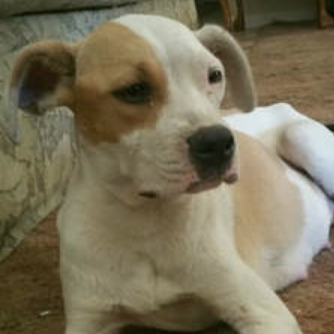 Gypsy was about to get rescued by us from Chowchilla and then came down with Parvovirus. Of course we would help her! She was on a catheter and has been pulling out of her illness - now eating chicken and rice on her own. We will wait 3 weeks until the virus has shed before we bring her into rescue. 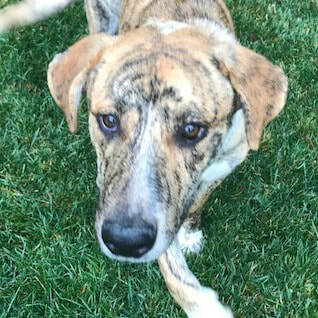 Otis was diagnosed with a possible case of Parvo and required hospitalization and treatment to recover. 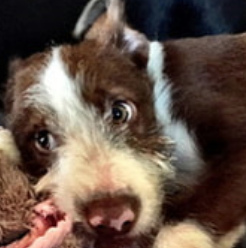 Ranger came down with parvo like symptoms, and was rushed to the vets. Parvo tests came back negative, but, he needed hospitalization and IV fluids to help him recover. Shawna came to rescue with noticeable discomfort in her back legs. We took this sweet girl in for x-rays and tests, and she had severe hip dysplasia that needed surgical correction. 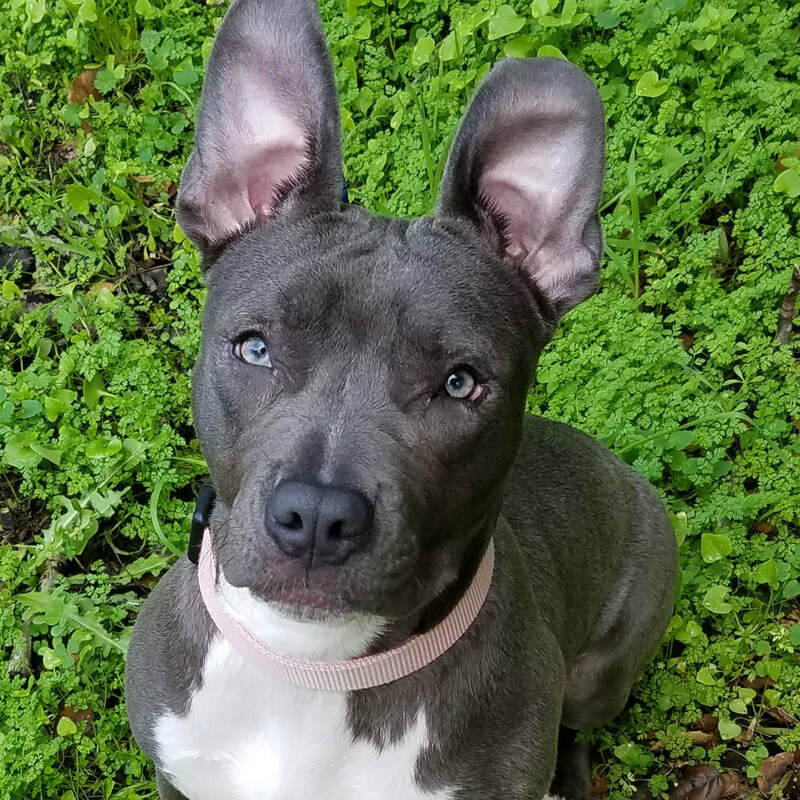 She is now doing well and up for adoption. 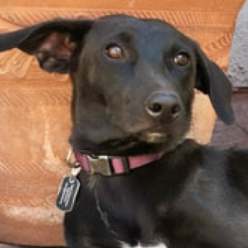 Kaya arrived in rescue feeling fine, but, shortly thereafter came down with a fever and became very ill. Our vets examined her and determined she had Pyometra, an infection which can occur when a dog goes into heat. It was very touch and go for Kaya and she easily could have died, but, they were able to save her. 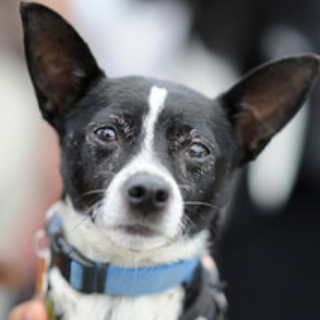 Ollie came to rescue as a senior citizen and had teeth in very poor condition. He needed a dental cleaning and had to have 13 teeth removed due to decay and infection. Amarillo developed an immune system issue (ITP). No cause could be found, but he responded well to treatment and is on his way to full recovery. Merry Christmas Cath! Love, Molly, Nez, and Michael. These dogs have had their bills paid! Daisy May came to us with severe mange that needed ongoing treatment and leg issues needing further diagnosis. 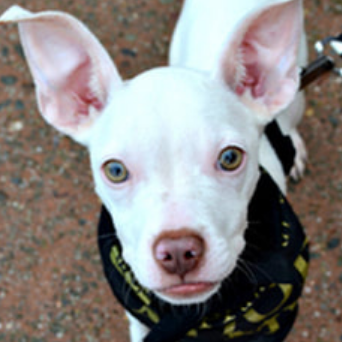 Milo was diagnosed with Parvo and required hospitalization and treatment to recover. 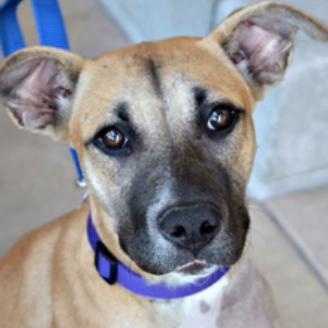 Faith came into the shelter with a badly injured leg that couldn't be saved. Proving a dog's resilience yet again, she's bounced back from her amputation splendidly. Chevy had a small worn spot on her pad that turned into a large open sore that did not heal and unfortunately required surgery. 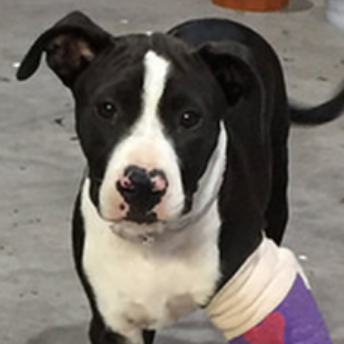 Lucy was found by a good Samaritan with a badly injured leg, and after a month of attempts to fix the break and dislocation, it was decided the only course was amputation. Lucy is handling her new tripod status well! Buddy came to rescue with various ailments and needed dental work, a biopsy, and ACL surgery. 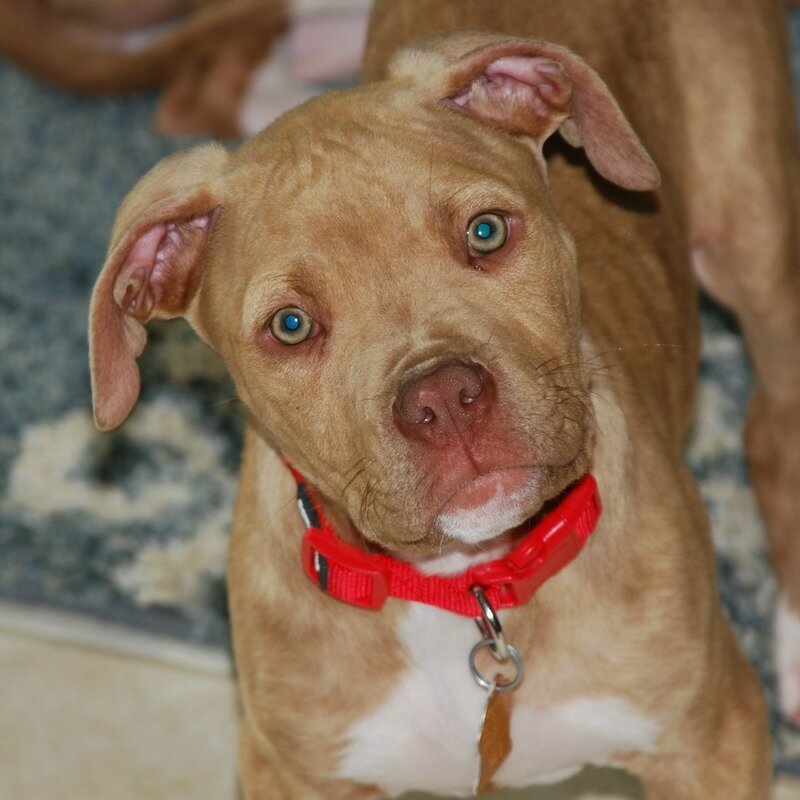 In loving memory of Copper, who was rescued with his brother Blue. 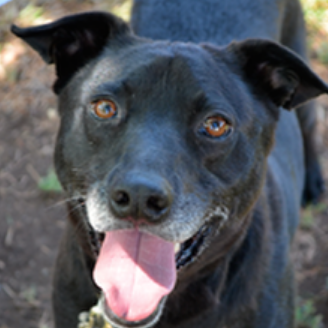 ​Bolt developed a post-op infection requiring veterinary care. Fortunately this spunky, sweet boy recovered well. Bruiser came to rescue with severe dental issues. He needed a full dental cleaning and had to have 4 teeth removed. Bruiser is now much more comfortable and able to easily. Sutter arrived in rescue appearing healthy, but we noticed a hitch in his gait and had him checked by our vet. 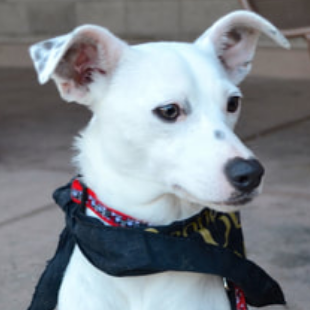 X-rays determined Sutter had a broken hip which had not healed properly. He needed FHO surgery to allow his hip to function without pain. 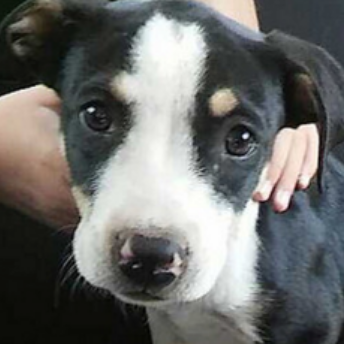 Sadly, Noah broke with Parvovirus within 24 hours of arriving into rescue. We immediately took him in for veterinary care, but he had a particularly aggressive strain and succumbed to the infection. Yogi developed an infection which required hospitalization. He has recovered and is doing well. 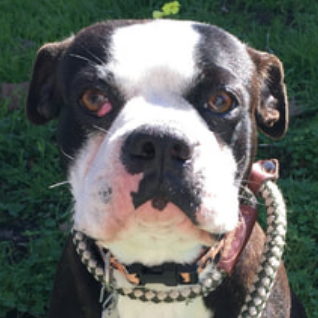 Boston came to Copper's Dream with a cherry eye, which is an oval mass protruding from his eye lid. He was treated by our vet and should not have any long-term sequelae. 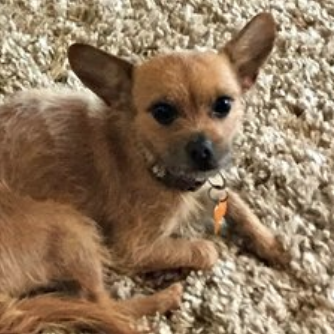 Molly suffered an injury requiring multiple orthopedic surgeries. She is currently recovering from the procedures, and her prognosis is good. 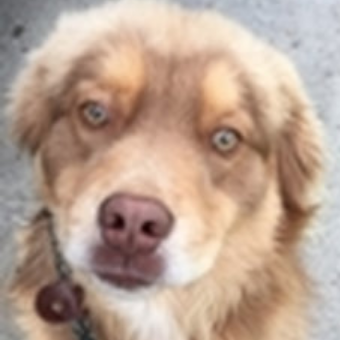 Kodiak was rescued as a young pup with his siblings, but he required testing and medications for medical issues. 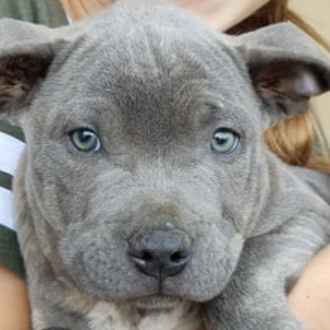 Lincoln came down with Parvo within 24 hours after arrival in rescue. He spent 5 days in the hospital being treated and eventually made a full recovery. 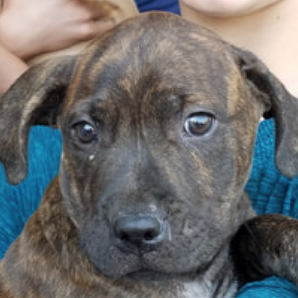 Matthew and his 4 siblings all survived a parvo scare as young pups, and Matthew suffered post-parvo inflammation and infection that required medical care.